Completed in 1980, the West Highland Way is a 96-mile linear long-distance footpath in Scotland running from the town of Milngavie, just north of Glasgow, to Fort William in the Scottish Highlands. Traditionally walked from south to north, the path connects old military roads, cattle paths, and defunct railway tracks while undulating through forests, over moorland, and alongside lakes. 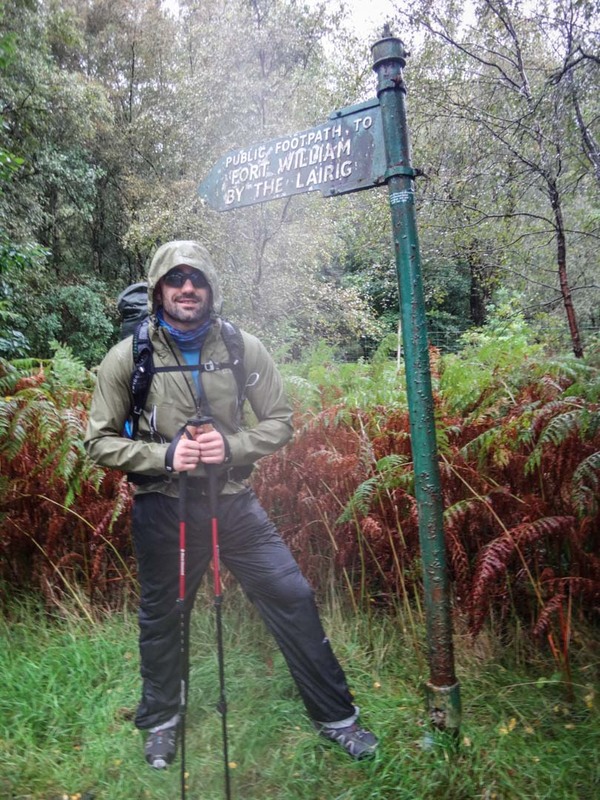 With only 14,760 feet of elevation gain and loss, the West Highland Way is approachable for hikers of all abilities, and typically takes 7-10 days to complete. The trail draws more than 50,000 visitors each year, and the ample support services and towns available along the route ensure that everyone’s experience is both special and successful. Map of the West Highland Way. Location: Milngavie to Fort William, Scotland. Scenery: Cow prairies, piney forests, strolling along glens (valleys) and along lochs (lakes) with breathtaking views around every corner. Terrain: Easy to moderate. 14,760 feet of total elevation gain and loss, with the highest point being Devil’s Staircase at 1,650 feet. Mostly gravel footpaths with some boardwalks, field crossings, and tarmac sections with a couple of steep and rocky climbs. Navigation: Navigation is easy using the Official WHW Guidebook and Website. The trail is very well-marked by lanterns carved into posts and because the route follows a series of public footpaths, there are also many signs in addition to the trail markings which indicate the correct direction. GPS devices, while handy, are not necessary to stay on track. Clearly-marked directions just outside the Milngavie train station. The easiest way to get to Milngavie is by train via CityLink from either Glasgow or Edinburgh. It’s inexpensive, fast, and drops you just a short walk from the the trail. Signs at the station indicate how to get to the start. 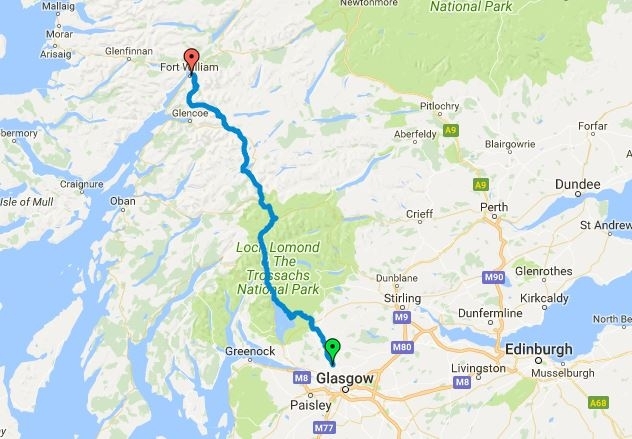 The train, as well as many busses, are available from Fort William for your return. 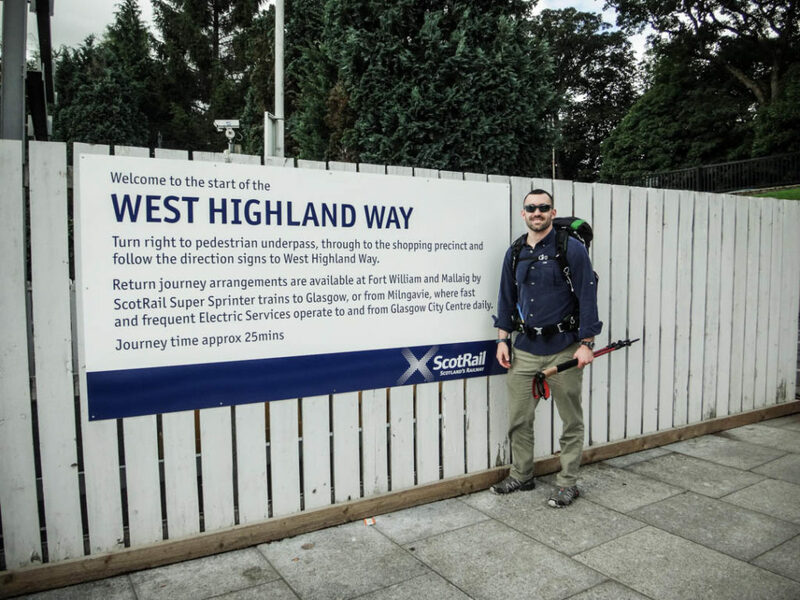 The West Highland Way is almost exclusively hiked from south to north. Although services are available to support either direction, the terrain is slightly easier in the south which makes for better acclimation and also keeps the sun out of your eyes. One of the many scenic passes along the WHW. 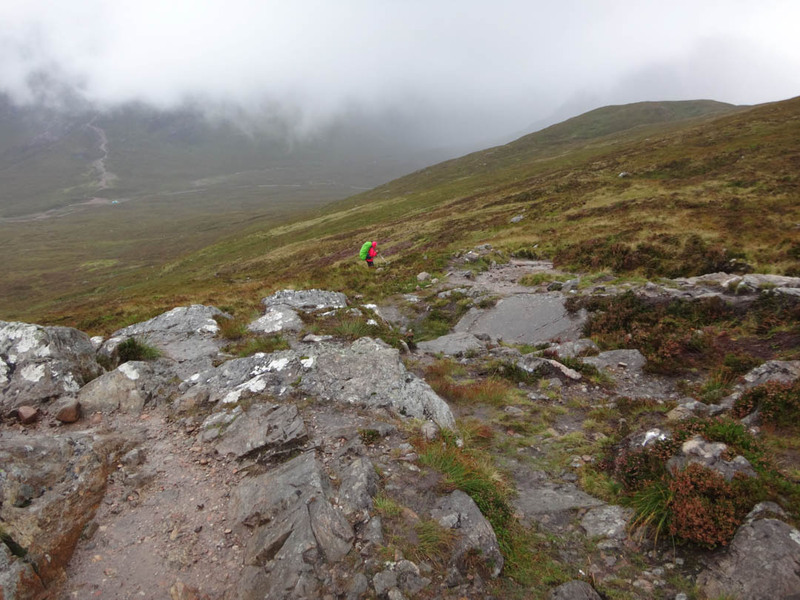 The West Highland Way offers some of the highest beauty-to-difficulty value of any long-distance trail. In addition to its remarkable scenery, quaint towns, and historical significance, the trail is exceedingly accessible for all hikers. Moreover, it’s extremely versatile in that it can be hiked practically year round and boasts a wide range of services that are available to customize the trip to your preferences. You can choose to camp, stay at hotels/hostels/B&Bs, have your bags transferred from town to town, or even run the whole trail in one go if you prefer. 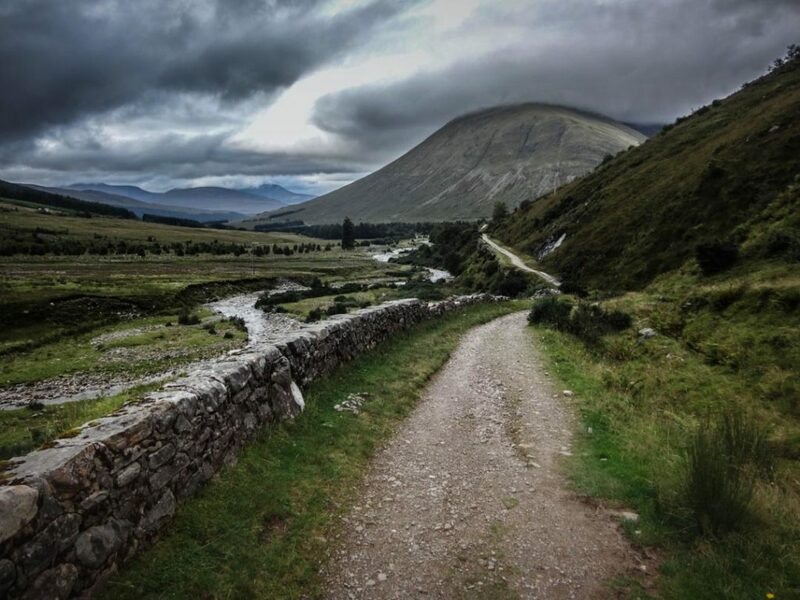 Despite its popularity, the West Highland Way doesn’t see nearly the amount of traffic as the more famous footpaths in North America like the Appalachian Trail, so you can rest assured that your experience will not be spoiled by crowds (although you should still book ahead for accommodation during the summer season). 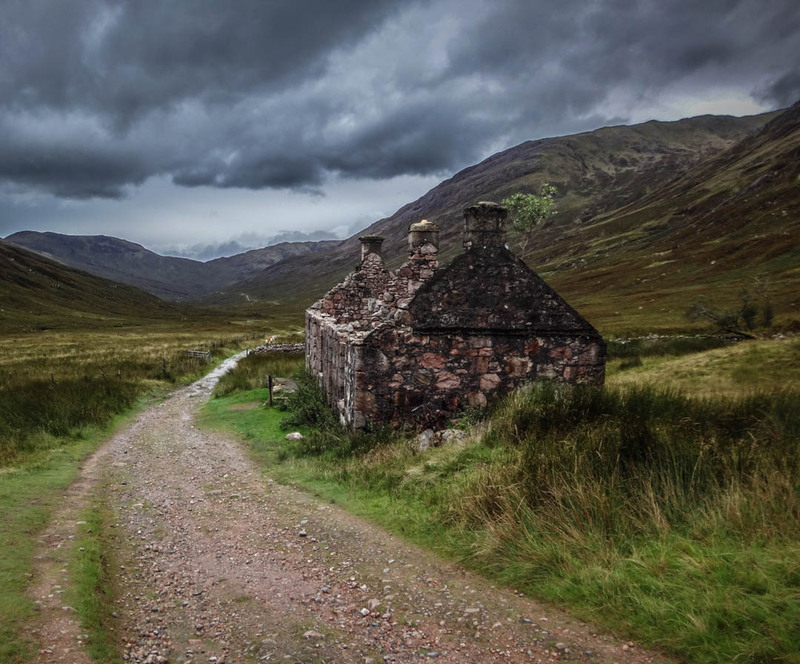 In addition to the hike, the Scottish Highlands are phenomenal in their own right, and the opportunity should not be missed to fully explore the region during your visit. If you can tack on a trip to the Highland Games while in the area you won’t regret it! September is a wet month on the WHW! The regular season for hiking the West Highland Way is March to September, with May being the busiest and driest month and September being the wettest. The trail can be hiked year round with the proper gear, and although it wasn’t too crowded when I hiked in September, it rained almost every day. Temperatures in the early and late summer will be very comfortable (60s-70s F) and higher in July and August. There are no concerns of bears or other ferocious wildlife, however you should take measures to protect yourself from the scourge known as the highland midge. These miniature blood-sucking flies are the bane of hiker existence and are absolutely relentless in the summer months while dying down slightly in September and later in the year. While the temperature in high season will be comfortable, the weather in Scotland is extremely temperamental and can change at any moment. As such, you should pack for multiple conditions—especially rain and bugs. Heavy jacket aren’t necessarily required—you should be fine with just a base layer, insulating layer, and shell jacket. As previously mentioned, the midges will be horrendous, so bug spray, a head net, and even something more full-coverage is a must-have. Bring a water filter, as many sources along the trail, while plentiful, are near farmlands and may be contaminated. If you plan to utilize a bag transfer service and stay at hotels or B&Bs, you can get away with just a day pack and water / snacks. Great spot at Bridge of Orchy with plentiful water and picnic tables. A wide range of services and accommodation are available along the West Highland Way, and wild camping is permitted all along the trail. The route passes through several established towns, all of which contain a hotel, Bed & Breakfast, campsites, or all of the above. The WHW’s website has a good resource for finding accommodation, although the guidebook and other sources (such as AirBnB) may provide additional options. During our trip we split the time between B&Bs and camping, which allowed us to save some money while also enjoying a dry place to sleep some nights. 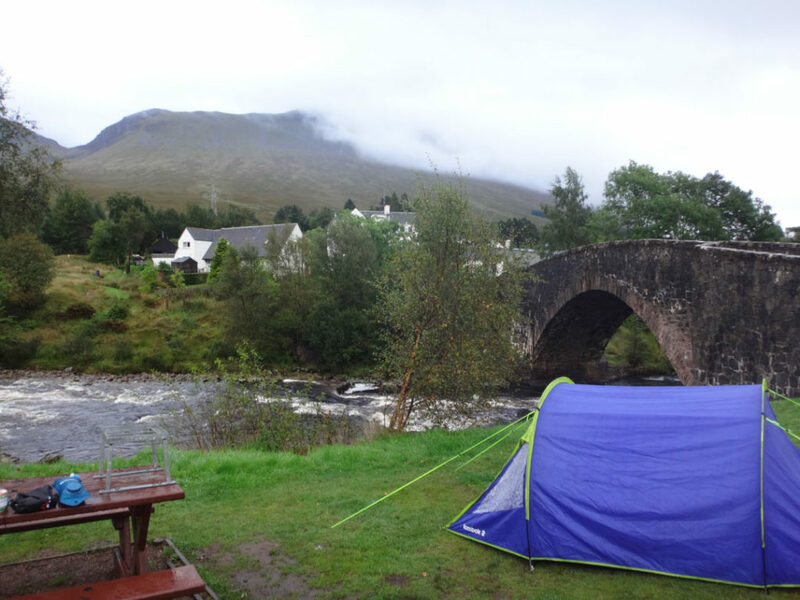 Camping at Bridge of Orchy (mile 60). Free camping along the water, right across from a hotel that charges £140/night. Pictured above. Glencoe Ski Area (mile 71) Offers camping on the lawn for £6/person or a Microlodge for £50/night with access to bathrooms, showers, and restaurant inside the ski lodge. Allengrange B&B in Kinlochleven (mile 81). A cosy little house with separate drying room for clothes and gear, close to town with grocery store and restaurants. Glengoyne Distillery. This historic establishment is located off a short side-trail during the first section between Milngavie and Drymen about nine miles in. They offer tours, free samples, and a shop for all your Highland Scotch dreams and wishes. Lochs Abound. Between Drymen and Inverarnen the WHW follows Loch Lomond, the largest freshwater lake in the UK by surface area. Drink in the views of mountains and wildlife from this fairy-tale section. Ascending Devil’s Staircase. Just outside of Kingshouse, this behemoth is the biggest climb of the entire trail. Making the 1,600-foot ascent to the top is no easy feat, but the views are rewarding if the weather is clear. Devil’s Staircase is no cakewalk, but the views are worth the struggle. Glens of the Highlands. 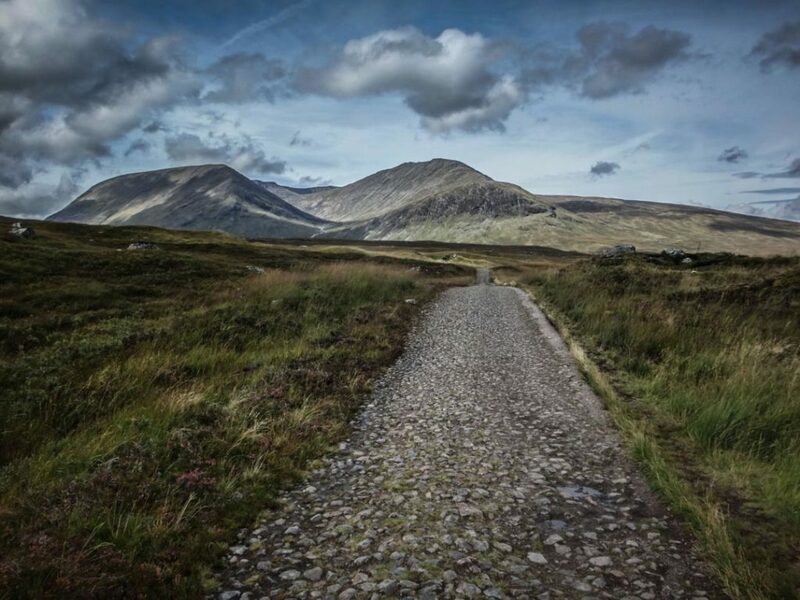 Between Tyndrum and Fort William (mile 43 – 96), the trail snakes through a number valleys, each offering spectacular and rewarding views of the Scottish Highlands – most of which can’t be seen any other way than by on foot. One of the most picturesque stretches between Kinlochleven and Fort William. Exploring Fort William. 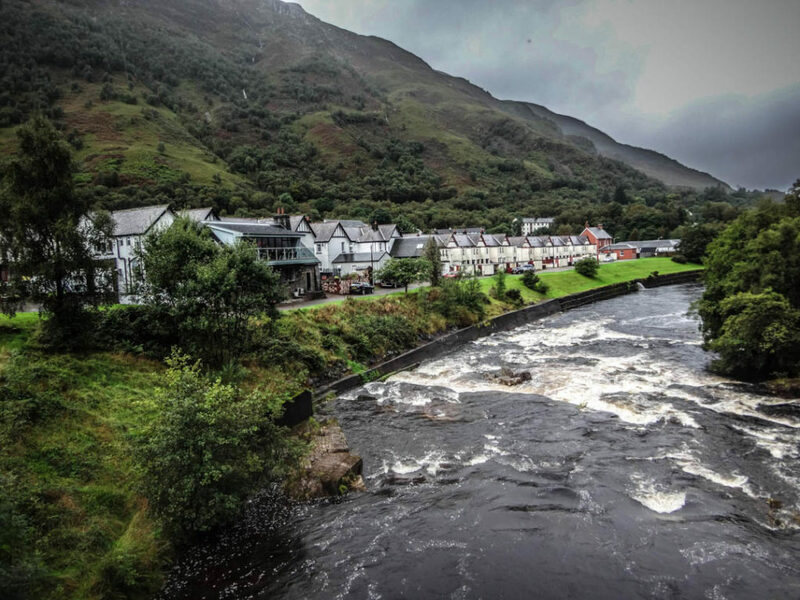 Once your hike is complete, spending a day in Fort William is a great way to wind down and relax. Have a drink at one of the local pubs, take your photo with the “Weary Walker”, and bask in the glory of your accomplishment. You’re never far from water on the WHW. Water is abundantly available all along the trail. There are many sources within each town as well as lakes, streams, and spigots in between. Because many of the sources are downstream from farms, it is advisable to filter or otherwise treat your water before consumption. Because of the climate, it is unlikely that sources will completely dry up even in the summertime. You won’t go hungry on the West Highland Way! Hikers typically take 7-10 days to complete the trail with a schedule similar to the one listed here. Note that the grocery stores are 25-30 miles apart so plan accordingly if you intend to be self-supported. In my experience, the SPAR grocery stores in Drymen and Fort William had the best selection with Co-Op in Kinlochleven coming in close second. Brodies Mini Market is directly on the trail and caters to hikers, but their prices are higher than what you would pay in town. 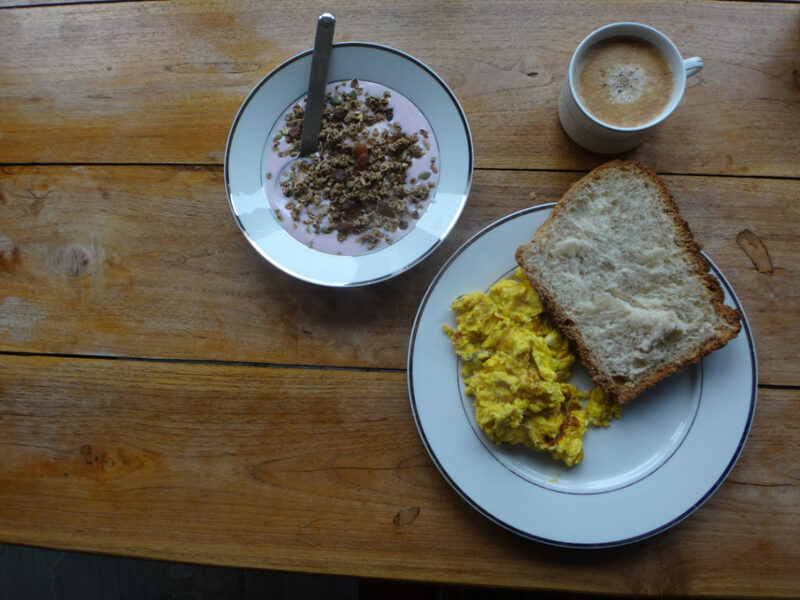 Whether you want to eat all your meals at restaurants, cook everything on your own, or do a mix of both, you won’t have any problem finding what you need along the West Highland Way. The beauty, majesty, and convenience of the West Highland Way cannot be overstated. 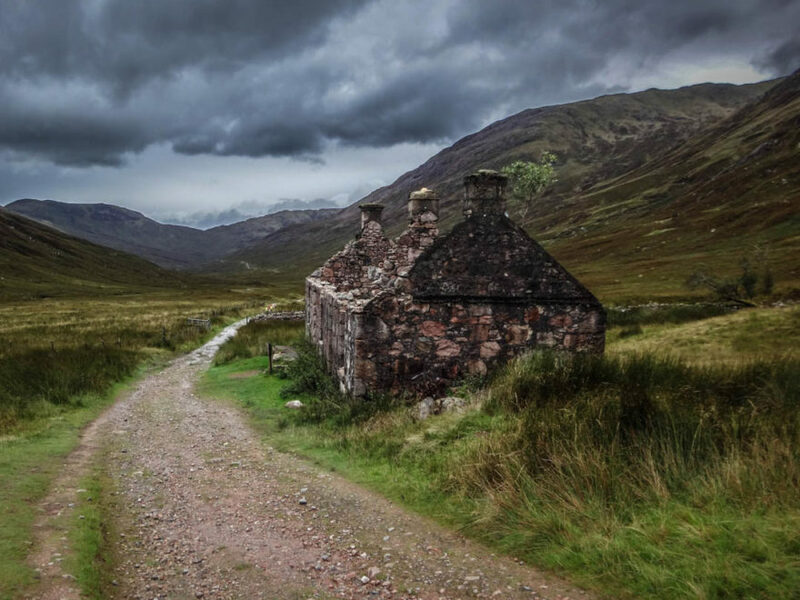 It is one of the most manageable, well-serviced, and charming trails in the world which offers all hikers a direct connection to the serenity and history of the Scottish Highlands. 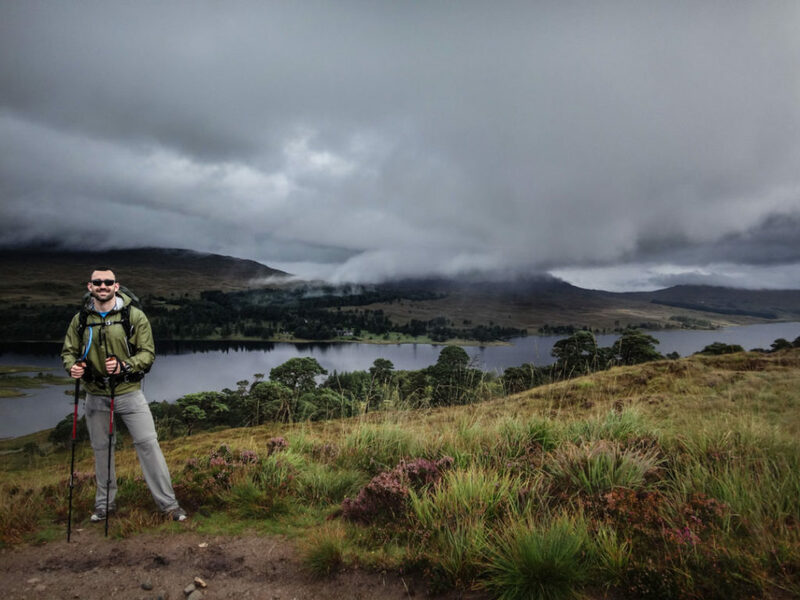 For an unforgettable European experience without requiring you to quit your job, look no further than the West Highland Way. More information, maps, and recommendations listed at WestHighlandWay.org. How'd You Get Time Off To Hike The AT? Oh wow! We loved our time in Scotland being tourists, but would love to head back and hit up this trail. Thanks for the inspiration! Definitely! It’s one of my most favorite trails ever :).